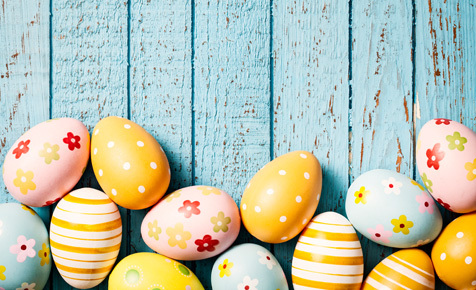 UK – Thought to originate from Pagan times, the egg is seen as a symbol of rebirth and new beginnings, with our current tradition of chocolate eggs and the Easter Bunny dating as far back as the early 1800s. Today, it is said that 1 in five children make themselves ill gorging on competitive chocolate eating festival that is Easter! 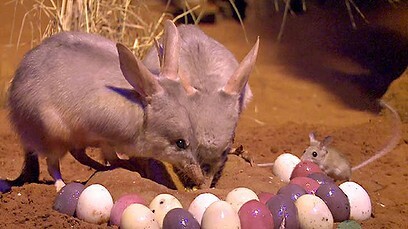 Australia – Meanwhile Australia has out-lawed the Easter Bunny in favour of the Easter Bilby, a nocturnal bandicoot with rabbit-esque ears. The reason behind the bold substitution is that rabbits have a bad rep in Australia for destroying crops and subsequently very unpopular – where as the bilby is an endangered species and Easter is used to help raise conservation awareness. Norway – Consider yourself a Miss Marple? For Norway, Easter and crime go together hand in hand. During the 5 day national holiday (the longest in the world), it is tradition to watch and read crime and murder mysteries. Major television stations specifically broadcast crime series and book publishing companies have also been known to postpone book releases in that genre, to coincide with the holiday. 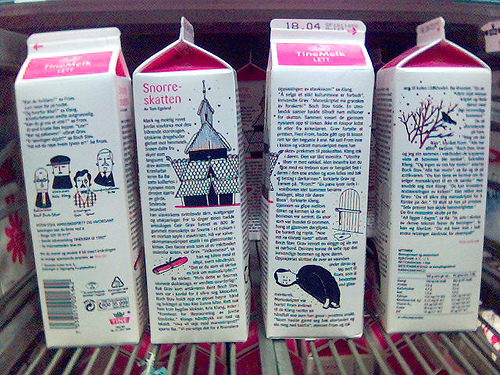 It doesn’t stop there either, milk companies also print crime stories on the back of cartons. So the only question in Norway around Easter is – whodunnit? Corfu – If you are in Corfu on Easter weekend then you may wish to consider wearing a crash helmet. At 11am the bells sound to announce the morning resurrection and the Greeks respond by doing something they are renown for… smashing crockery. They throw ceramic pots out of windows and from balconies before participating in processions, gatherings and festive meals. It is believed that this is an Ancient Greek tradition, with the belief that creating loud noises would wake up the goddess of spring. Hungary/Slovakia/Poland/Czech Republic – It seems the ladies of central European have it tougher than most during the Easter festivities. In many countries, women are made to wear traditional clothing and are then soaked by men hurling large buckets of water at them. In some of these places, they are also lashed with homemade decorated whips, though this is not meant to be painful. The women then get to present the men with decorated eggs or money. 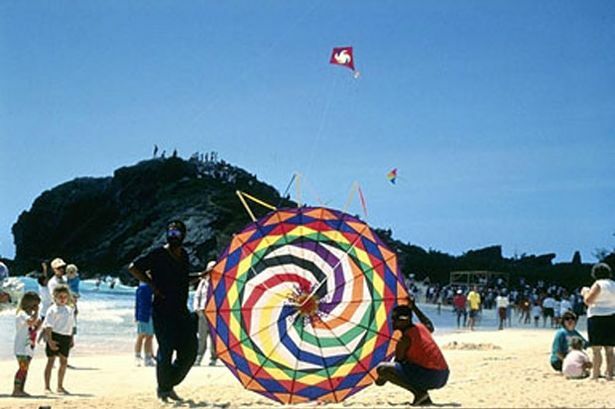 Bermuda – Good Friday for Bermudians is all about kite flying. The tradition of kites is believed to have been started by a British Sunday School teacher who used a kite to illustrate Christ’s ascension to heaven. A lot of effort goes into making the large and colourful home-made kites and the community enjoy a festive atmosphere. 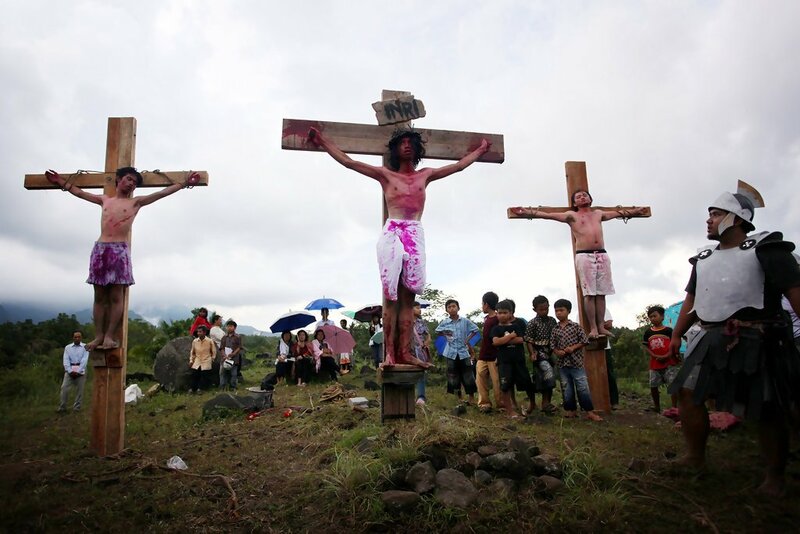 Indonesia – Indonesians celebrate the holiday by re-enacting the crucifixion of Christ. Right across the country young men are bound to wooden crosses and statues of Christ and the Virgin Mary are paraded through the streets. It is considered an honour to play the lead in this act and the roles are highly sought after. Colombia – Forget a lamb roast with all the trimmings and as much as chocolate as you can manage. The Colombians Easter feast consists of iguana, turtles and large rodents. Seconds anyone? Finland – You may think the saying; ‘I’d rather watch grass grow’ is just a figure of speech, but unfortunately for the Finnish, their Easter traditions require them to take on the utterly mind-numbingly boring task. The grass growing signifies the start of spring and afterwards, the children decorate it with eggs and bunnies as a symbol of fertility. That’s more like it! So there you have it, it’s not all chocolate, bunnies and bonnet parades. However you choose to celebrate the Easter weekend this year, we hope you have a cracking time! (Can’t believe we resisted all other opportunities for a good pun!